At the center of Oosterdam's public area is an atrium that cuts through three decks. 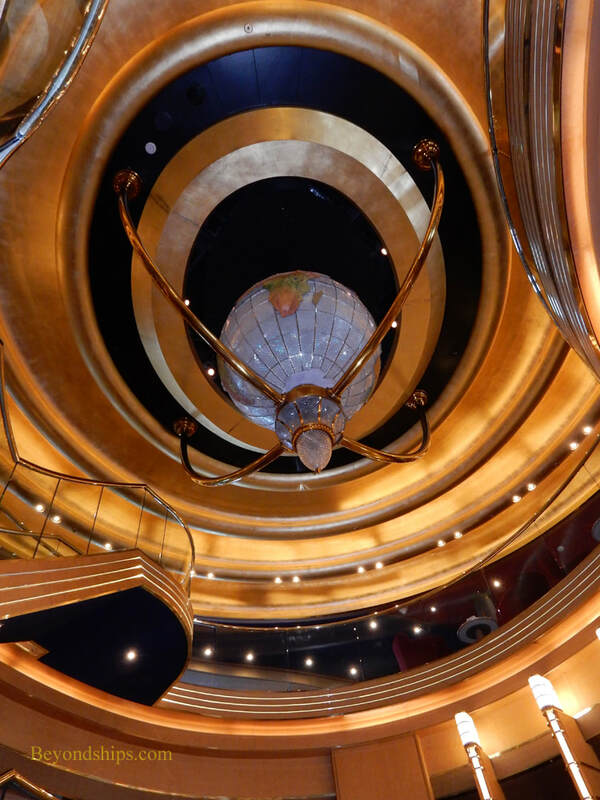 At the top, a large globe is suspended from the ceiling. Oosterdam was the second ship built in Holland America Line's Vista class. 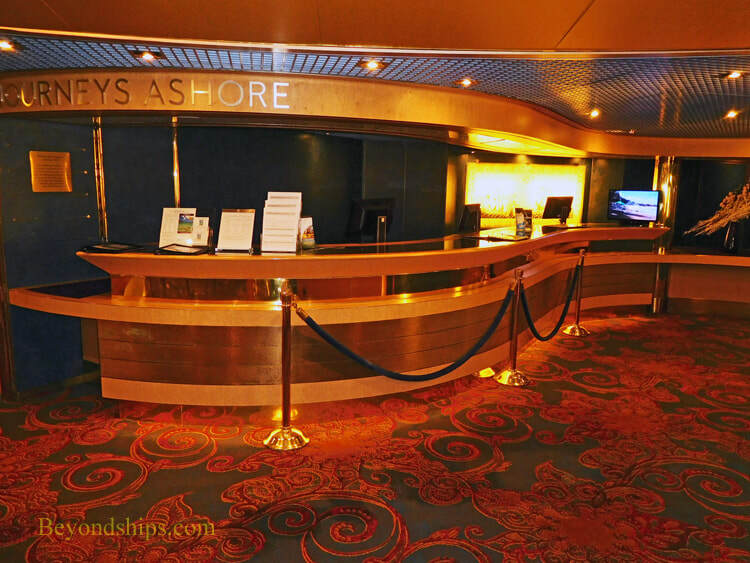 She is the sister ship to Holland America's Zuiderdam, Westerdam and Noordam as well as to P&O Cruises' Arcadia. This class was also the forerunner of the Signature class and thus is similar in many respects to Eurodam and Nieuw Amsterdam. Holland Amewrica frequently names its ships after earlier HAL ships. However, Oosterdam is an exception, being the first ship to have the name. Like her sisters, her name reflects the points of the compass with Oosterdam dervived for the Dutch term for eastern. The ship was christened by Princess Margret of the Netherlands in a ceremony held in Rotterdam in 2003. The ceremony also marked Holland America's 130th anniversary. 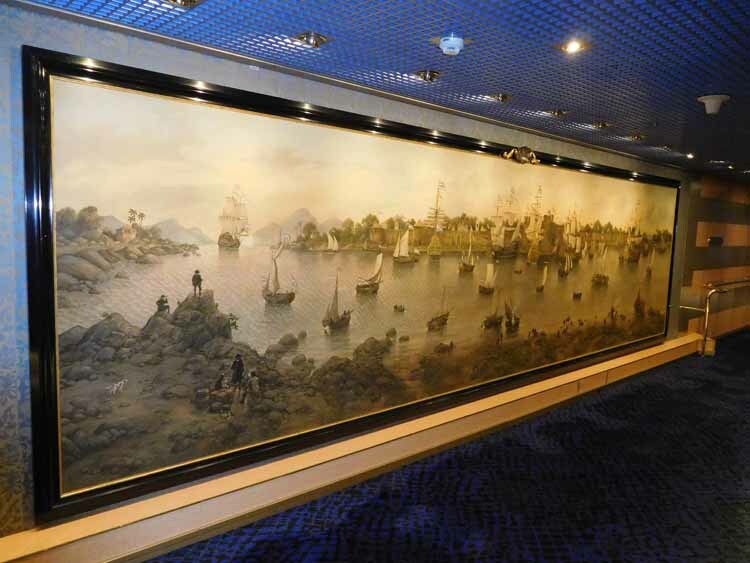 Oosterdam is a mid-size ship offering a premium cruise experience. The interior décor is sophisticated refelecting both contemporary and Dutch traditional style. There is an emphasis on enrichment programming with such things as culinary demonastrations and classes on computers given by Microsoft-trained experts. Music includes classical concerts as well as jazz and blues performances. 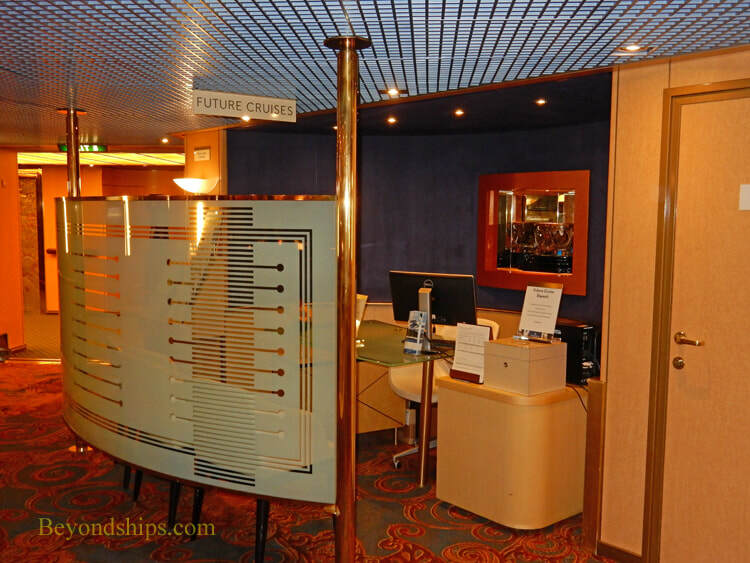 Passengers on Oosterdam tend to be well-educated and cuoltured. Although the majority are mature, they tend to be younger than the passengers who frequent HAL's smaller ships. In 2016, Oosterdam underwent a multi-million dollar revitalization. 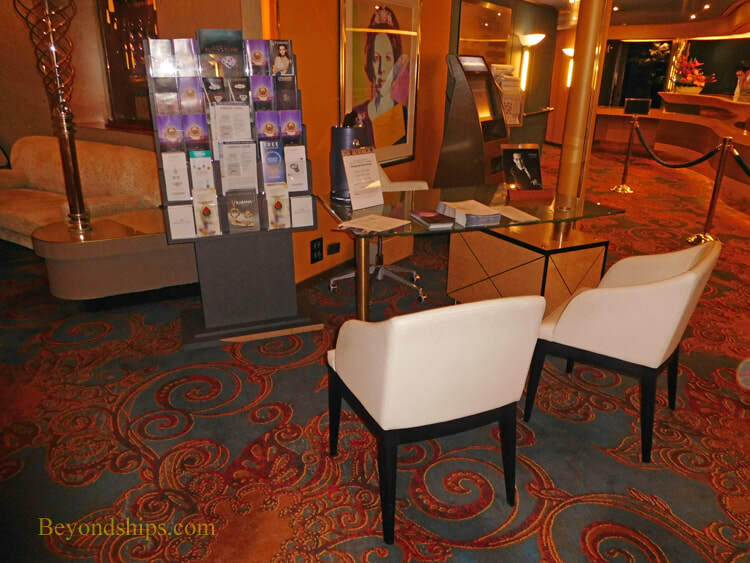 25 new staterooms were added and the existing suites were given a makeover. 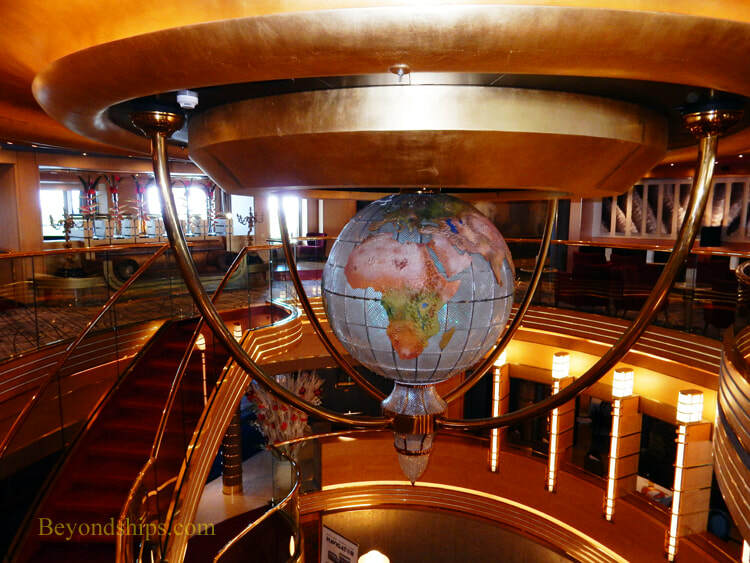 The ship's Northern Lights nightclub was replaced by a bar with an art theme called the Gallery Bar. The ship is powered by five diesel engines, which provide electric power to the two azipods as well as for the ship's hotel operations. As a result, Oosterdam is capable of a respectable maximum speed of 24 knots. 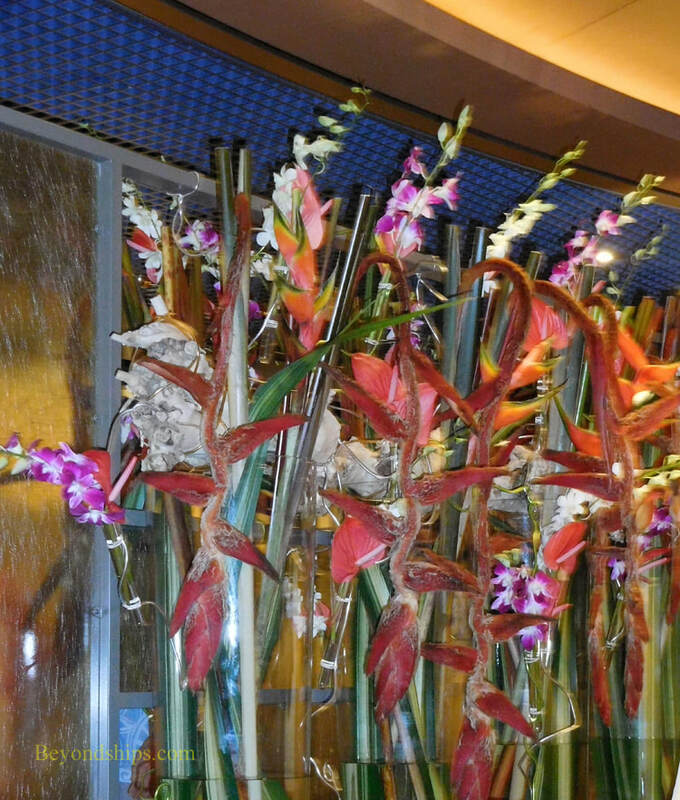 Oosterdam has a contemporary decor that includes big displays of flowers as well as a museum-like art collection. 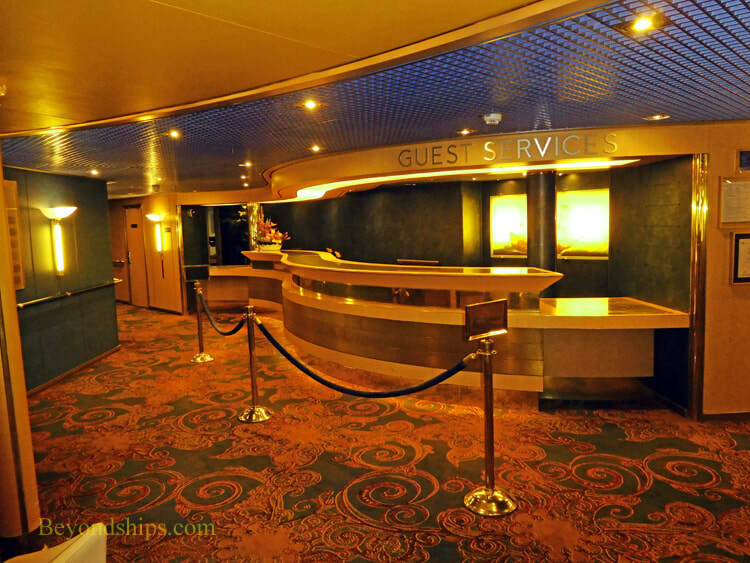 Located in the Atrium on Deck 1 are: the Guest Services Desk (above left); the Shore Excursions Desk (above right); the Port Shopping Expert's Desk (below left) and the Future Cruise Desk (below right).